This design stitched out beautifully! Haven’t use it yet but it looks like a good design. Stitched out beautifully. Excellent design! Easy to do and exactly as advertised. I was able to enlarge and reduce the design within reason and without loosing integrety of the design. Very pleased with this design. We've never come across a cuter little bug! This pretty dragonfly brings it's own colorful beauty to your projects - and maybe good luck too! 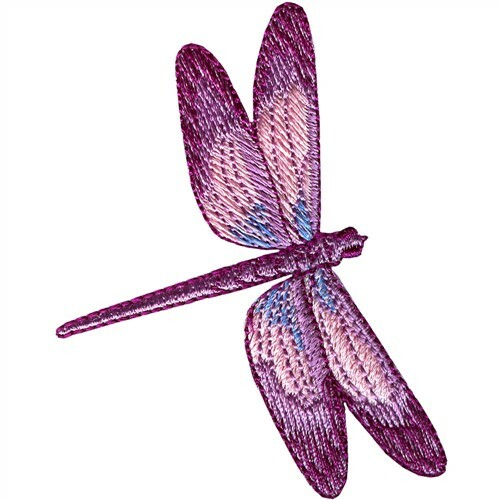 Grand Slam Designs is happy to present Dragonfly machine embroidery design which has 5148 stitches and is [79.50 mm x 62.48 mm] large. If you would like to view more embroidery patterns please search on our embroidery designs page.